Amazon will hire at 10 fulfillment centers including Kent next week. Yesterday Amazon (NASDAQ: AMZN) announced it has 50,000 jobs available at U.S. fulfillment centers, including Kent, Washington. The company will host a job fair on Wed., August 2 from 8 AM to Noon for its first-ever Jobs Day. Candidates can visit the Kent fulfillment center (21005 64th Ave. S., Kent, WA 98032) to learn more about working at Amazon and the technology it uses to fill orders. The company plans to make thousands of on-the-spot job offers to qualified candidates, said Amazon in a statement. The position is hiring for full-time and part-time jobs, including picking, packing and shipping positions. Amazon said the pay is “highly competitive,” and they offer health insurance, disability insurance, retirement savings plans and company stock. Other employee benefits include up to 20 weeks of paid leave and benefits like tuition reimbursement, Leave Share and Ramp Back. With Leave Share, employees can share their Amazon paid leave with their spouse or partner if they don’t have paid leave. Ramp Back helps new moms return to work at a pace that works for them. 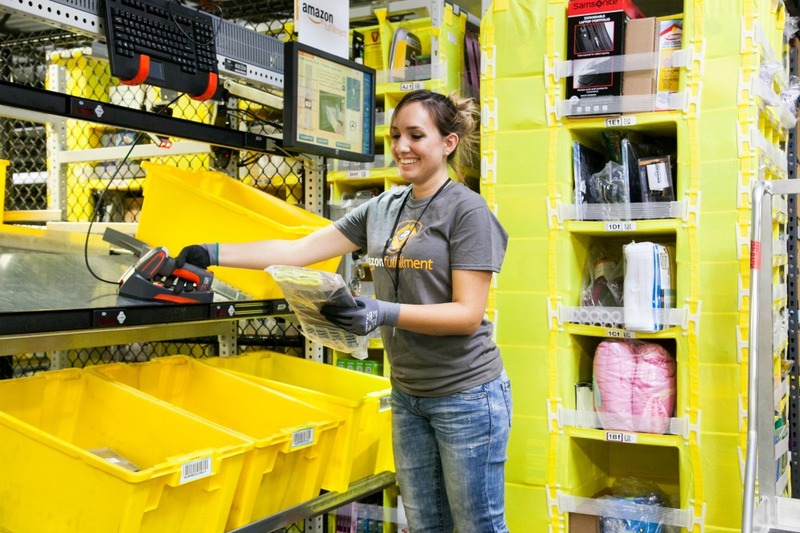 In addition to Amazon Jobs Day, the Kent Amazon Staffing Office is hiring for full-time positions: July 31, 9 AM to 7 PM and part-time seasonal positions July 27-28, 9 AM to 5 PM, and August 3-4, 9 AM to 5 PM. All candidates should be bring photo ID. All job offers are contingent on meeting eligibility requirements. Positions available in Kent include full-time warehouse associate, part-time seasonal sortation associate, and seasonal Prime Now associate. Learn more about Amazon Jobs Day online.